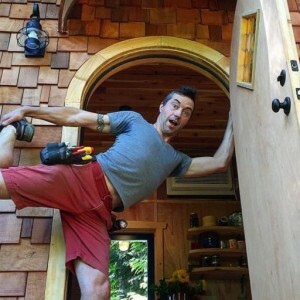 Russ Pryor lives in a 400-square-foot log cabin on a timber farm outside Seattle. 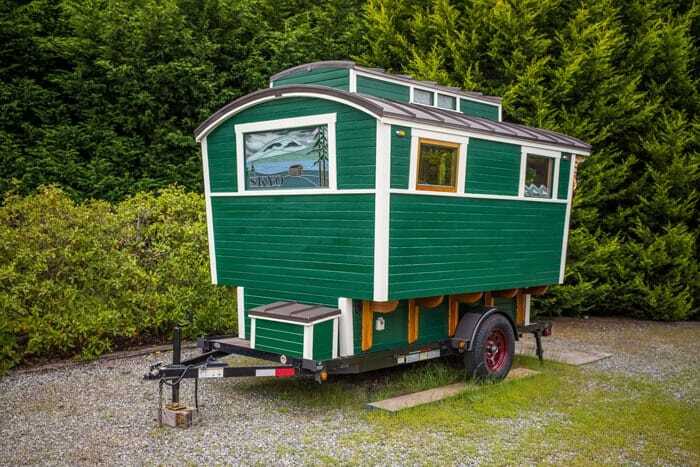 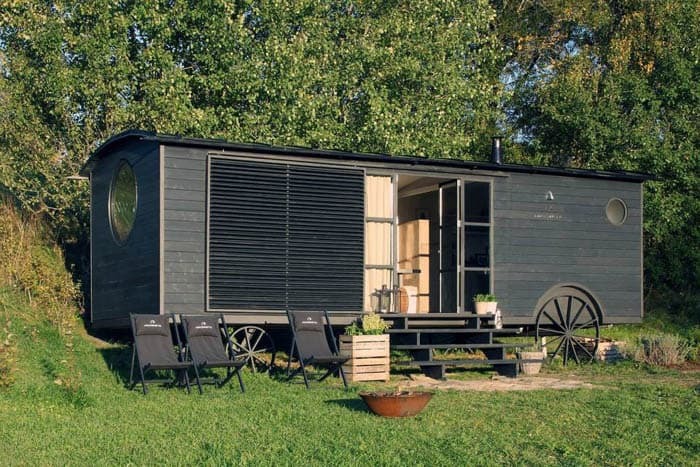 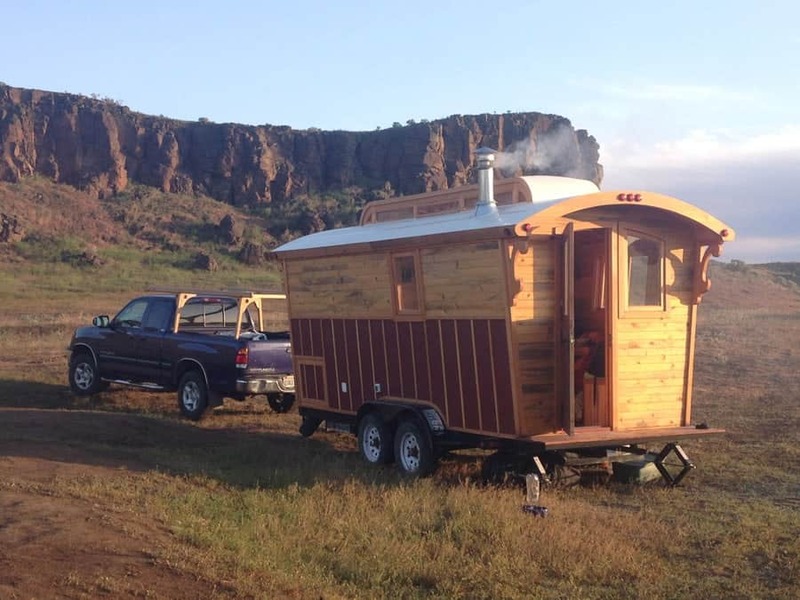 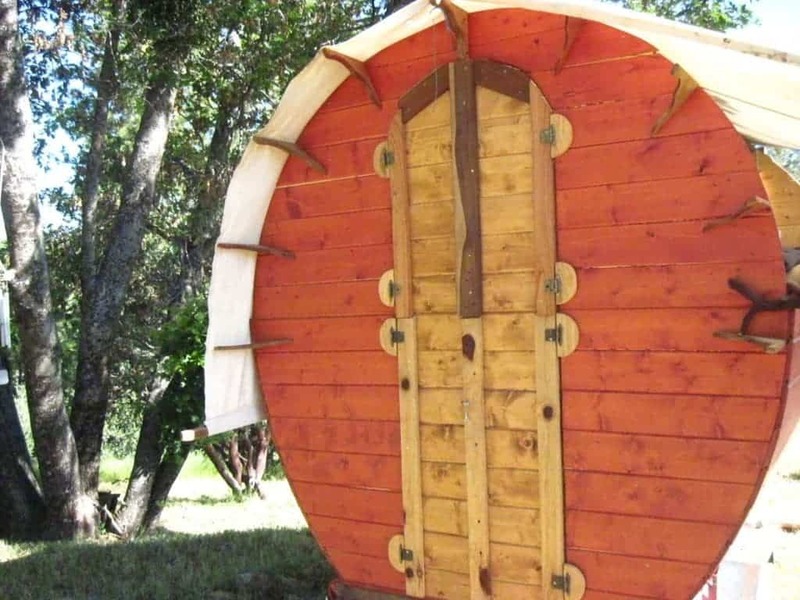 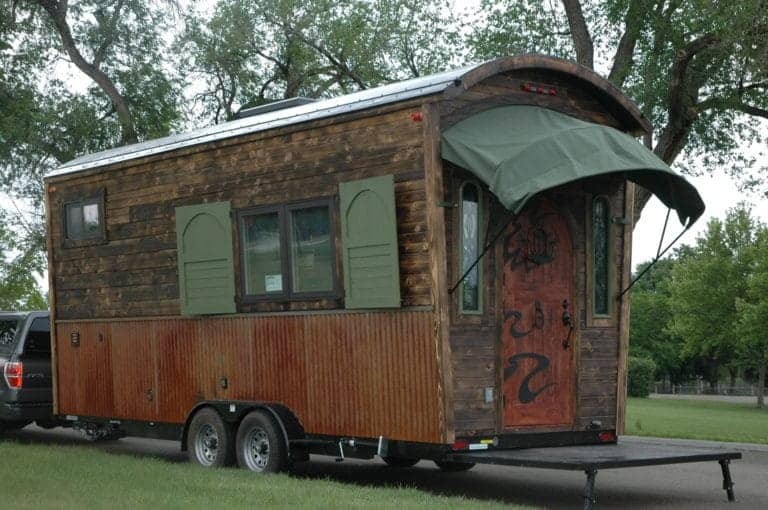 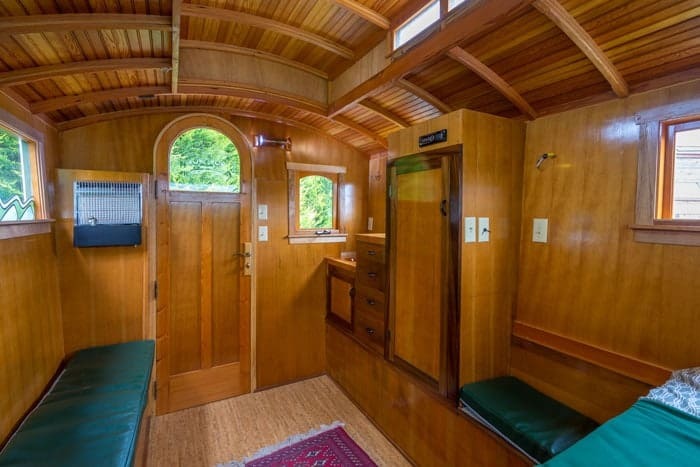 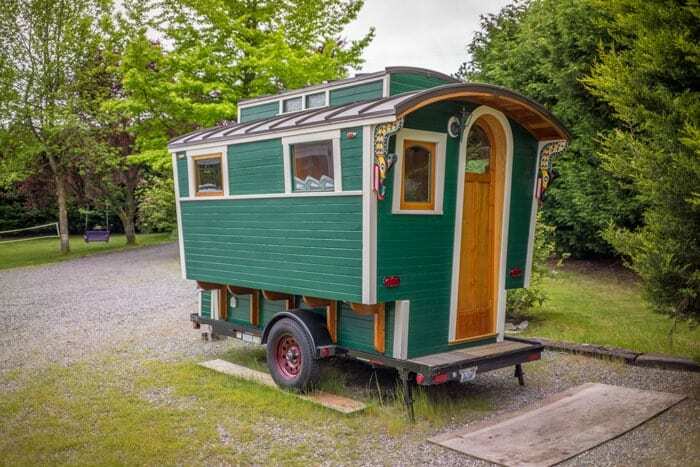 When he needed a bit of extra space for occasional guests he decided to build the gypsy wagon you see here, a true work of art that shows off his skill as a woodworker. 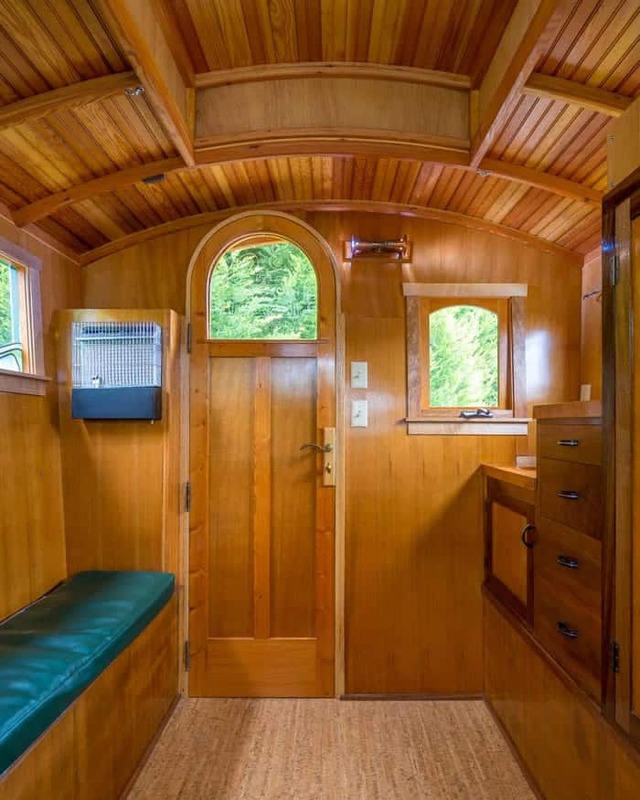 He made nearly everything in this build by hand, and the interior is a glowing example of the type of quality craftsmanship most of us could only dream about. 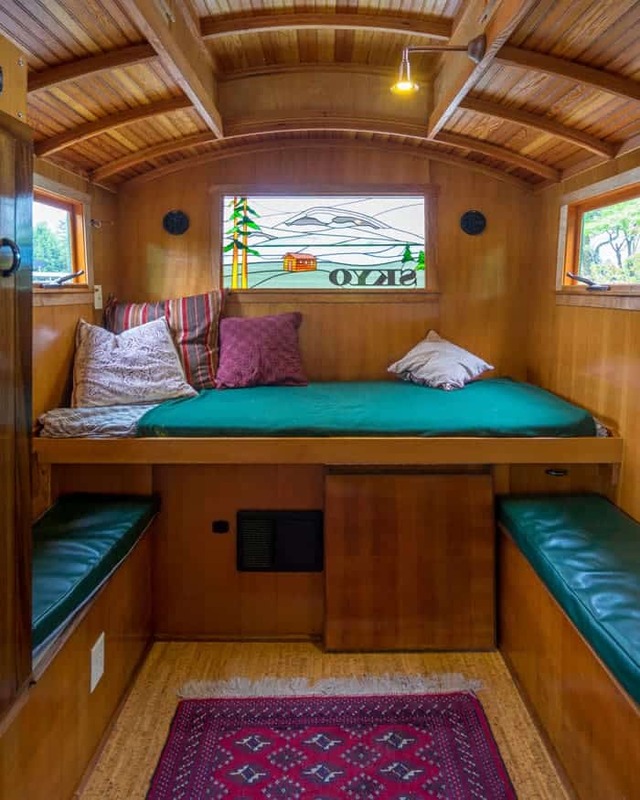 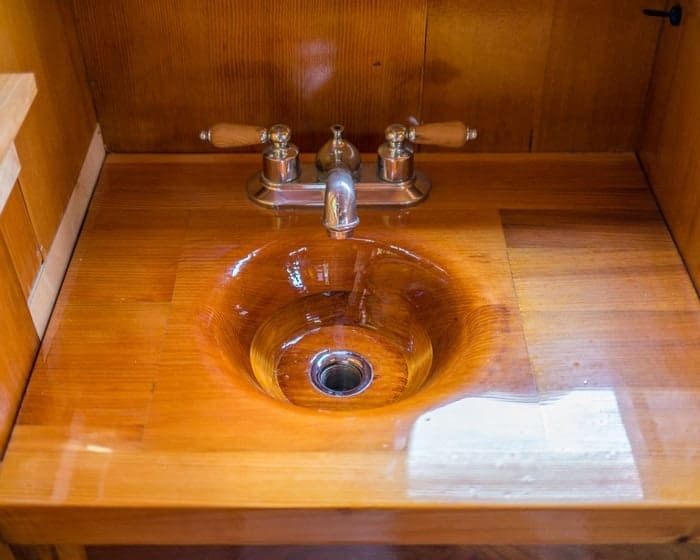 You’ll find a twin bed, sitting area, closet, sound system, and a stunning handmade wooden sink that needs to be seen. 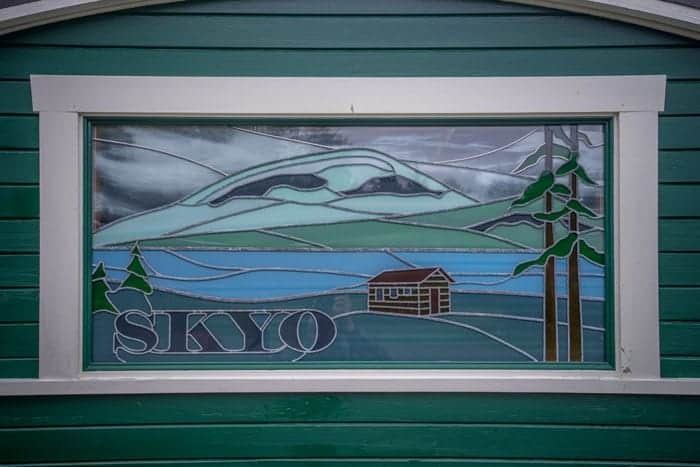 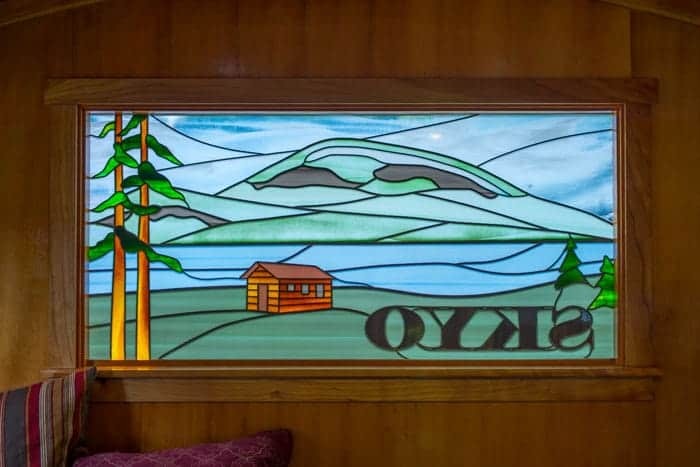 The stained glass image pays tribute to his property, showing his log cabin named “SKYO” with the mountainous backdrop in the distance. 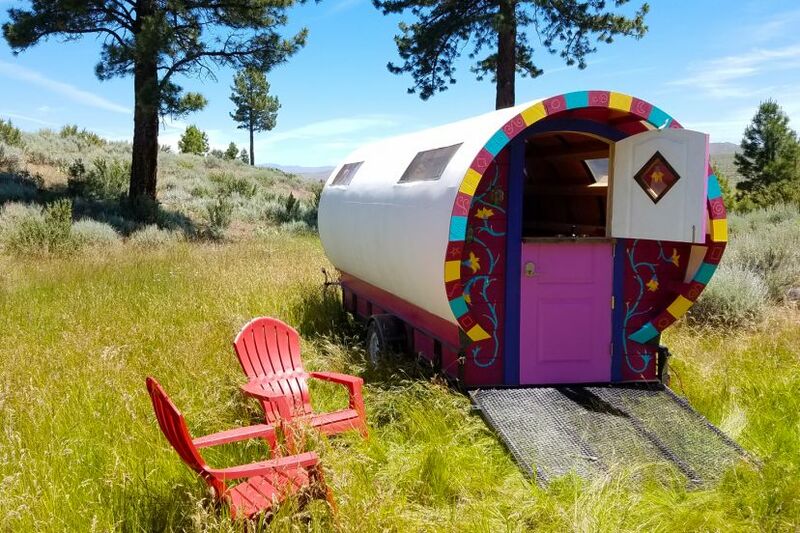 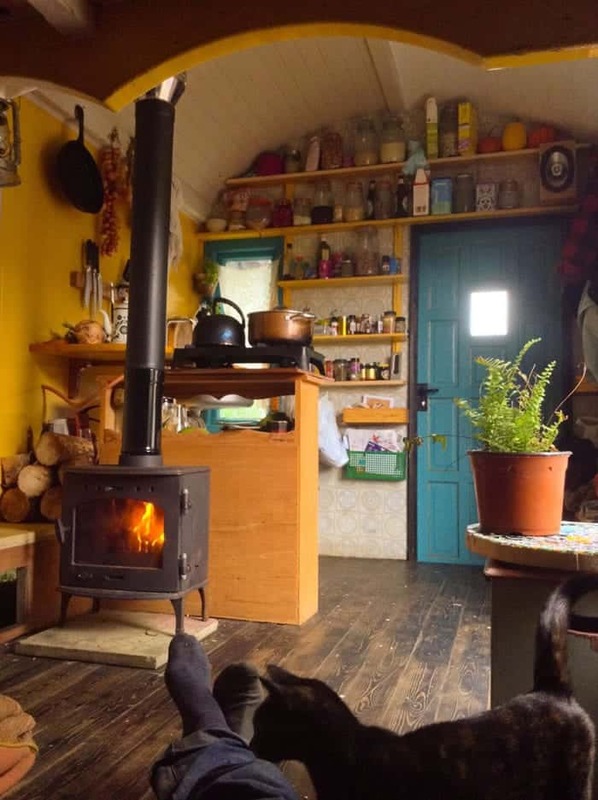 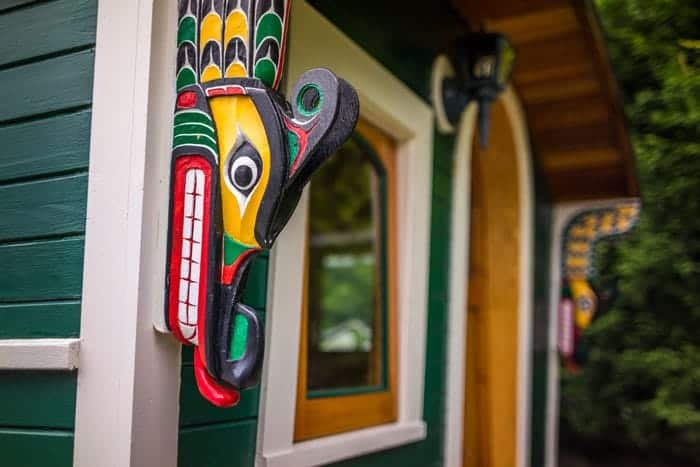 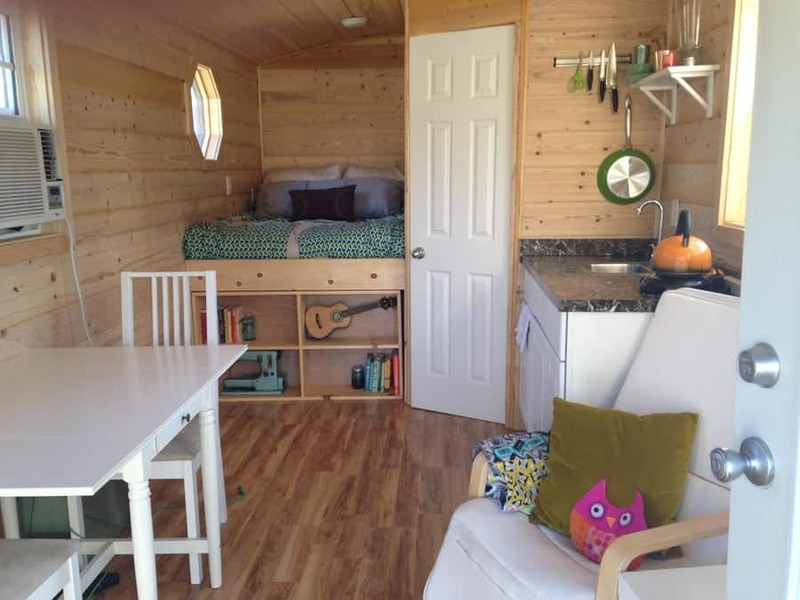 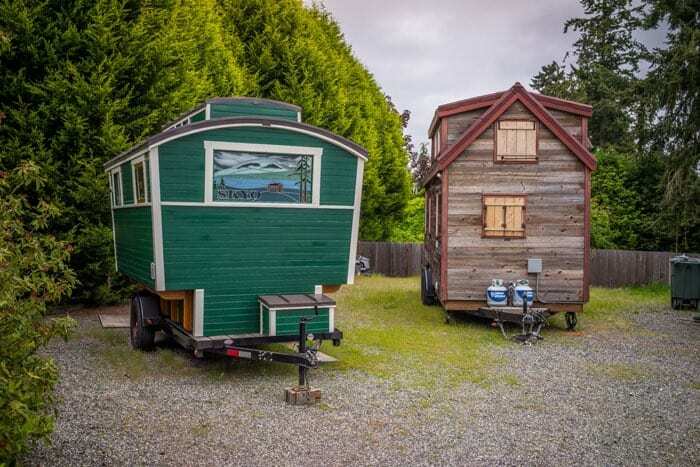 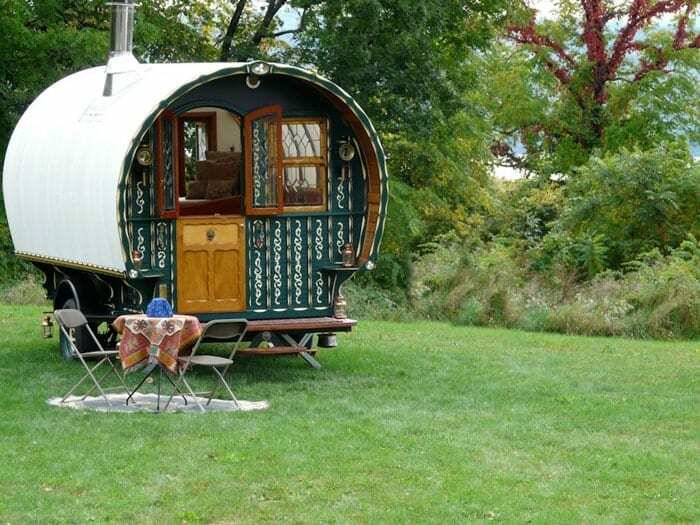 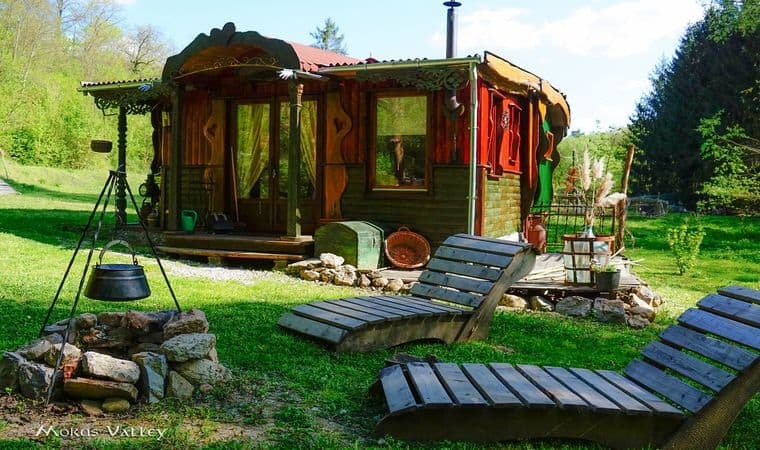 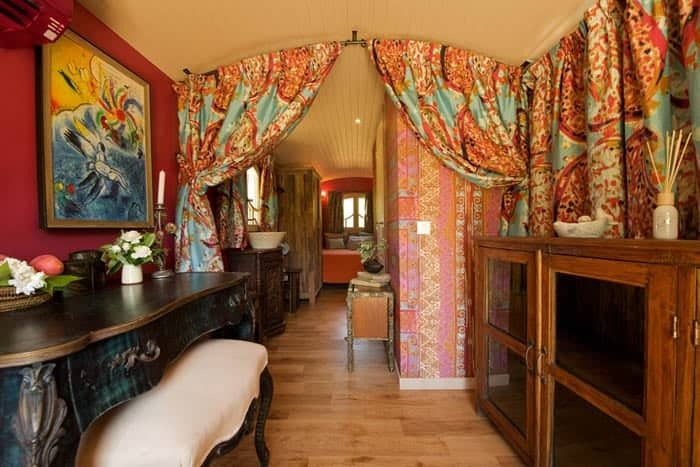 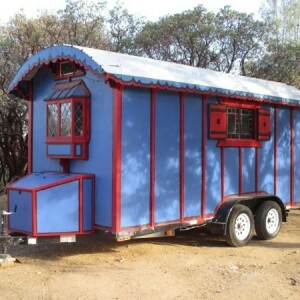 Be sure to check out the video tour below, and big thanks to Tiny House Giant Journey for sharing this lovely gypsy wagon.